Jon is a fantastic accountant! I can’t see myself not getting my taxes done here, especially if I’m still living right up the block. Although taxes can be pretty tough to understand for those who aren’t in the field, Jon did a really thorough job of explaining everything to me in basic terms. He is extremely calm and intelligent, and took the time to walk me through the entire process. 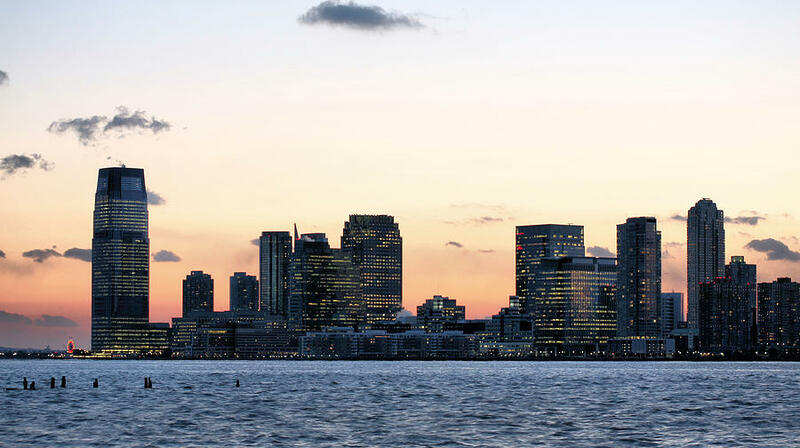 Jon is my go-to guy for my Jersey City financial planning clients. I have known him and worked with him for years and he has become an integral part of my professional life and a great asset for my clients. Very attentive, great response time. I was very satisfied with the quality of work JLD tax did, great value as well. Spent a lot of time explaining things to me that I did not understand. I highly recommend JLD Tax. I own a small business and was searching for bookkeeping assistance, a service that my CPA does not provide. I tossed this search out to some small biz friends and they replied “let US know when YOU find someone good, ok?” Several phone interviews later, I spoke with Jon and we set up a meeting. My husband grilled him on an assortment of tax related *stuff* while I asked pointed questions regarding classification of expenses. He answered our questions with poise, skill and humor - well beyond his years. I’ve now been working with him for several months and during that time he’s fine tuned my monthly expenses and provided insightful feedback and suggestions regarding how to best steer the business, manage taxes, provide payroll, etc. He’s done so in a collaborative way that’s been educational. I’ve circled back to those small biz friends who were also seeking a great, local CPA and now I’m spreading the (((Yelp Love))) here. If you want a competent, efficient accountant, I highly recommend Jonathan and his company. We have used JLD for our taxes each year starting 3 years ago, when a combination of complexities around our taxes required a level of guidance and support that only the most seasoned, skilled financial professional could provide. JLD also provided a professional overview of prior year tax returns, and helped to develop a strategy to minimize the impact of taxes for future years. By going over our prior tax returns in detail, some errors that we had made were uncovered by Jonathan, and we were able to increase our IRS and state refunds. Tax time or not, we are always provided with a comprehensive financial picture which equips us to make the right financial decisions throughout the course of the year. Our calls and emails are always returned promptly, with all of our questions answered; JLD makes each client feel as though he or she deserves the top-most priority. I’m moved to the US last year and I’ve tried speaking with many different CPA’s, HR Block and others. I don’t understand the bad reviews I’ve read here. First, I had to fill stuff in advance with pretty much every CPA (it’s the digital world anyways), so to me it’s pretty standard. John was nothing but patient and explained everything (I do have the gift of driving people mad with so many different questions). The little he did not know (“aliens” are a special case in the US as far as tax are concerned) he researched right away, and walked through the law with me, making it clear. To make things even worse for him, my wife opened a small business beginning of December, making my tax return even more complicated. Nothing to fear though, John explained every step, every form and answered all my repeating questions. I left without questions, certain my tax return was filled correctly.